We love a good risotto, and we love a good veggie burger even more. 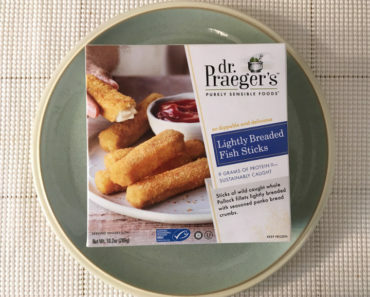 When we saw that Dr. Praeger’s had combined the two, we knew we had to give it a try. 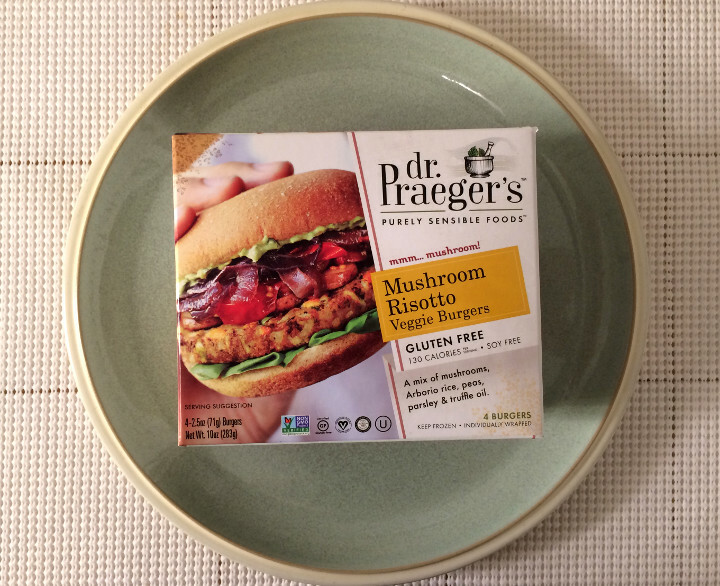 Dr. Praeger’s Mushroom Risotto Veggie Burgers definitely aren’t your typical veggie burgers, but we think they’re pretty great. 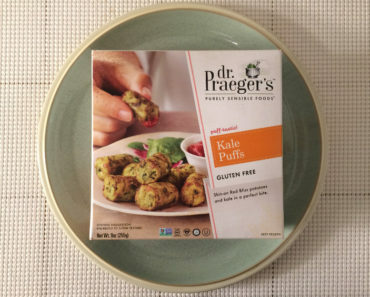 These veggie burgers come four to a box, with each burger in its own separate packaging. We definitely prefer individually wrapped patties; it makes it a lot easier to save a burger for later. Although these burgers can be heated in the microwave, we chose to cook them in a skillet. After about seven minutes, our risotto burger was ready to eat. We were a little surprised by how green this patty is. 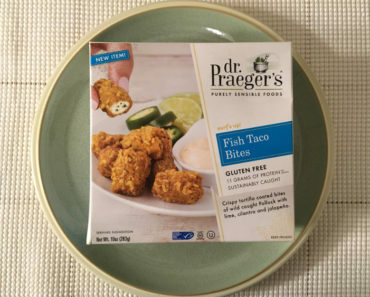 We’re used to veggie burgers that try to mimic the color of real meat. That said, the patty smells absolutely amazing, so the color shouldn’t be off-putting at all. 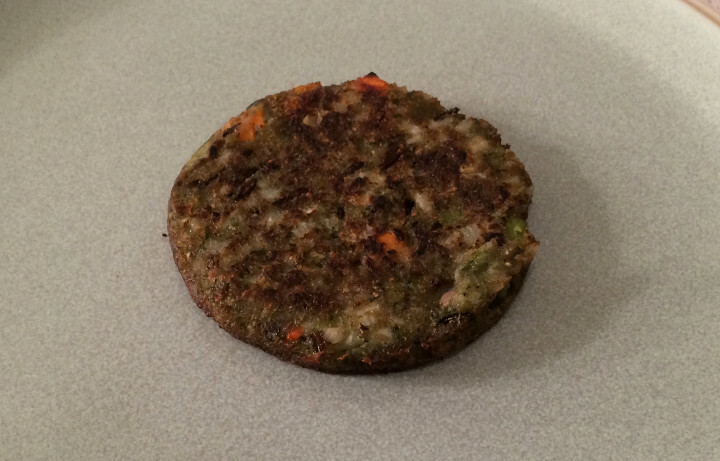 Another surprise is just how soft this veggie burger patty is. It holds together nicely, though it still feels a bit mushy, almost like it’s straight-up risotto on a burger bun. Although the soft texture wasn’t a turn-off for us, we wish we’d cooked the patty a bit longer. Most of our staffers like our veggie burgers crispy. Even though we aren’t completely sold on the texture of this burger, we’re blown away by the taste. Ingredients like arrowroot powder, portobello mushrooms, and truffle oil give these patties a decadent flavor. While we usually stick to store-bought veggie burgers, these patties taste like they’re homemade! We chose to pair our veggie burger with some of the more traditional fixings — lettuce, tomato, cheese, and ketchup — and it turned out pretty tasty. However, the unusual flavor of this patty would blend nicely with all kinds of toppings. We’d love to try this burger with some hummus or a dollop of guacamole. It would also taste great with spinach and kale. 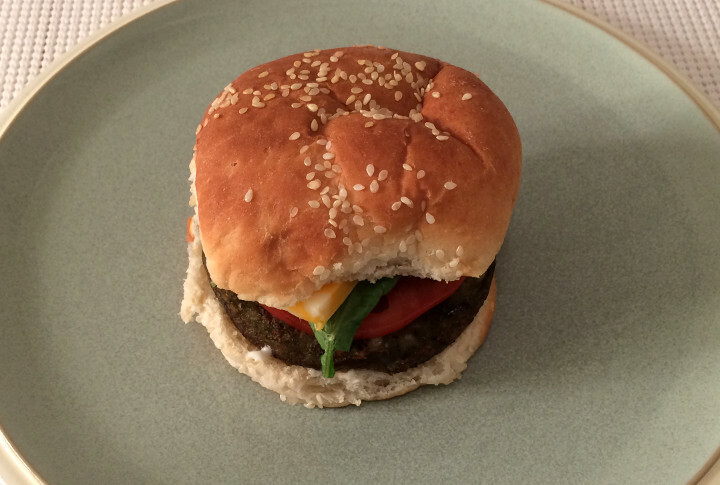 Since this is a very flavorful veggie burger, you could even try eating it plain. 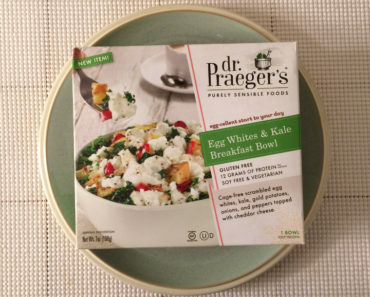 Even though Dr. Praeger’s Mushroom Risotto Veggie Burgers are a little on the mushy side, we love their unique and decadent taste. We’re also impressed with the nutritional content. It’s low-calorie, high-fiber burger, and it’s a good source of Vitamin A and iron. 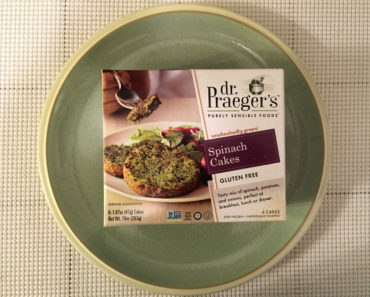 Dr. Praeger’s Mushroom Risotto Veggie Burgers don’t taste anything like real burgers, but they’re still an appealing and healthy option. 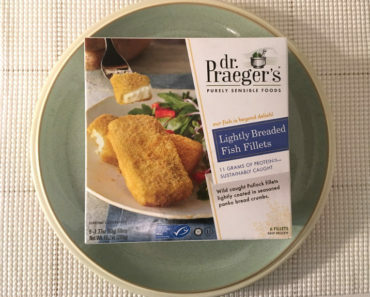 To learn more about the nutrition content or ingredients in these frozen veggie burgers, check out our package scans below.